Are Employees Protected From Retaliation When Complaining To OSHA About Unsafe Work Conditions? Having fought for the rights of employees for almost twenty years, our Marion County, Florida whistleblower lawyers have learned that many employees continue to work in unsafe and dangerous work environments. Under the Occupational Safety and Health Act of 1970 (the Act), employers are responsible for providing safe workplaces for their employees. The Act also protects employees from retaliation when they provide information to the Occupational Safety and Health Administration (OSHA) about unsafe or dangerous conditions in the workplace. The decision by the U.S. District Court for the Eastern District of Pennsylvania in Acosta v. Lloyd Industries, Inc., No. 16-1079 (E.D. Pa. Dec. 5, 2017) is instructive in showing how the Act protects employees from retaliation when they inform OSHA about unsafe or dangerous work conditions. In that case, the Secretary of the Department of Labor, Alexander Acosta, brought a retaliation lawsuit on behalf of two discharged employees against their former employer, Lloyd Industries, Inc. (Lloyd Industries), alleging violations of the Act. The Secretary claimed that Matthew Spillane (Spillane) and Santa Sanna (Sanna) were fired in retaliation for informing OSHA about unsafe work conditions. Lloyd Industries manufactures a variety of fire and smoke dampers, a product designed to stop the spread of fires. In July 2014, an employee of Lloyd Industries, Elbode, suffered a partial amputation of three fingers on his right hand while using a press brake machine. In July and August 2014, Spillane took photographs of the machine where Elbode was injured for an OSHA investigation. In late October 2014, three months after his injury, Elbode filed a complaint with OSHA. As a result, OSHA initiated an investigation and OSHA compliance personnel arrived at Lloyd Industries on November 13, 2014. On November 18, 2014, five days after the arrival of OSHA personnel, Lloyd Industries fired Spillane for allegedly sleeping on the job. In February 2015, Sanna provided testimony to OSHA about unsafe conditions at the plant. On May 11, 2015, OSHA issued numerous citations to Lloyd Industries and proposed penalties in the amount of $822,000. On May 11, 2015, after screaming in frustration because of the OSHA citations, the president of Lloyd Industries fired Sanna. The president testified that if the company received an $822,000 fine, “somebody gets fired.” Lloyd Industries alleged that Sanna was fired because he neglected his duties as the employee to oversee OSHA compliance. Lloyd Industries filed a motion with the trial court seeking dismissal of Spillane’s and Sanna’s retaliation claims. Lloyd Industries maintained that Spillane and Sanna could not establish that they were fired in retaliation for informing OSHA about unsafe work conditions. Rather, Lloyd Industries claimed that Spillane and Sanna were fired because they were bad employees. The trial court denied Lloyd Industries’ motion for dismissal and found that there was a sufficient evidentiary basis for a jury to infer that the reasons given for the termination of Spillane and Sanna were a pretext for retaliation. With respect to Spillane, the trial court observed that the president knew that Spillane had taken pictures of the machine where Elbode was injured and Spillane was fired five days after the arrival of OSHA personnel at Lloyd Industries. The trial court reasoned that a jury could find the fact that Spillane was fired “five days after OSHA officers arrived at Lloyd Industries” to be evidence that Spillane was fired in retaliation for informing OSHA about unsafe work conditions. With respect to Sanna, the trial court pointed out that he was fired three months after providing information to OSHA about unsafe work conditions and the same day that OSHA issued citations to Lloyd Industries amounting to $822,000. 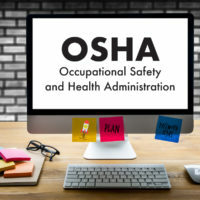 The trial court reasoned that a jury could find the fact that Sanna was fired “on the same day that OSHA citations were lodged” to be evidence that Sanna was fired in retaliation for informing OSHA about unsafe work conditions. Thus, the trial court concluded that Spillane and Sanna had presented sufficient evidence of retaliation to proceed to a jury trial. Based in Ocala, Florida and representing employees throughout Central Florida, we have extensive experience litigating whistleblower cases in Florida state and federal courts. If you have been fired for blowing the whistle or have questions about your protection from retaliation for complaining to OSHA about unsafe work conditions, please contact our office for a free consultation with our Marion County, Florida whistleblower attorneys. Our employment and labor law attorneys take whistleblower cases on a contingency fee basis. This means that there are no attorney’s fees incurred unless there is a recovery and our attorney’s fees come solely from the monetary award that you recover.